Nowadays, the island can only be visited by ferry, either on foot or by bike. 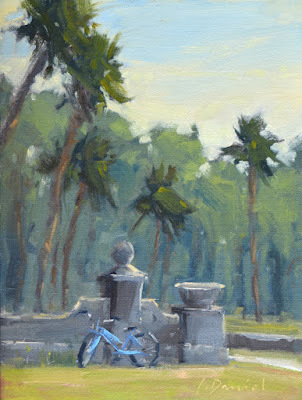 That blue bike was mine for the day as I rode around the island (easel on my back) and painted. See why I love painting in the Golden Isles so much??? Always an adventure to be had!